NOTE: The Spanish and Portuguese generally looked at the natives as inferior. Spanish philosopher Juan Ginés de Sepúlveda defended colonization and the harsh treatment of natives as natural. Bartolomé de las Casas, on the other hand, believed colonization was immoral and brutally cruel to the natives. Nonetheless, Europeans continued a superior attitude towards Native Americans. 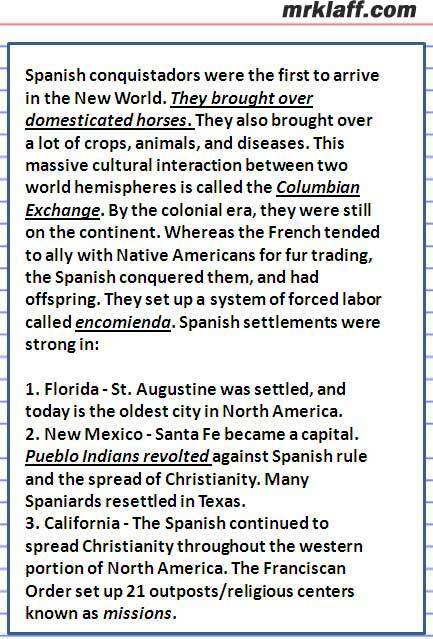 Click here for info about early Native American Tribes.